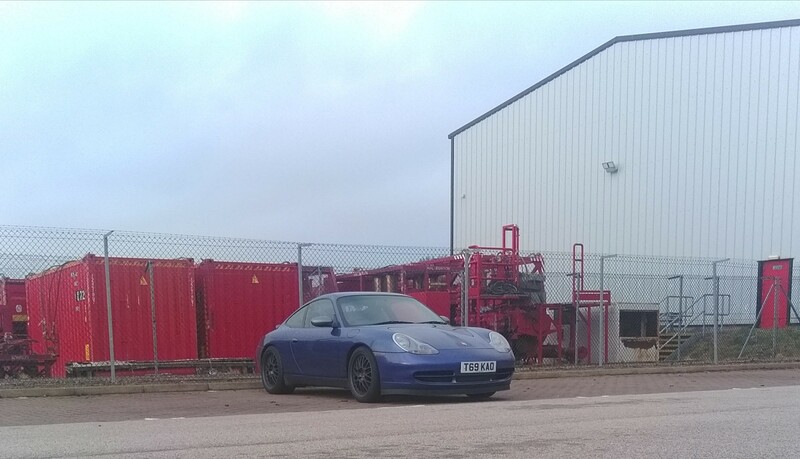 Fitted the new front spacers and then had this flexible lip sitting in the garage for a couple of month. I'd tried it the way it was supposed to go but it would not work and just stuck out too much. Had the idea today to try it the wrong way round and it worked. 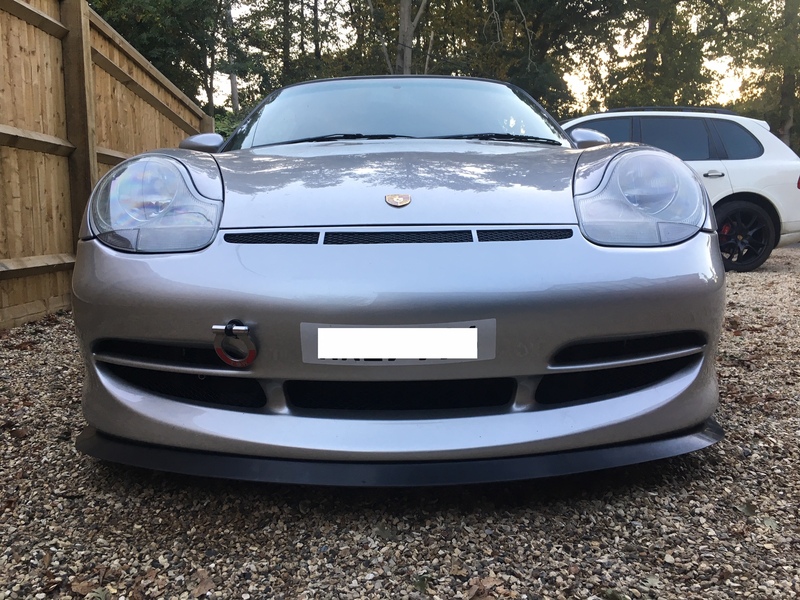 Not great but certainly helps the look of the STD front bumper. I like that lip also, any details on where it came from/cost etc? +1 on the lip, link would be great as i like this idea. 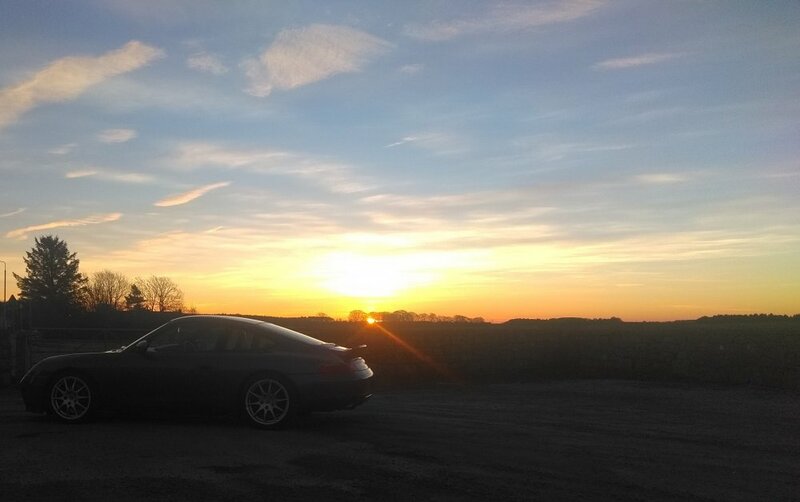 PS also love the panamera's. 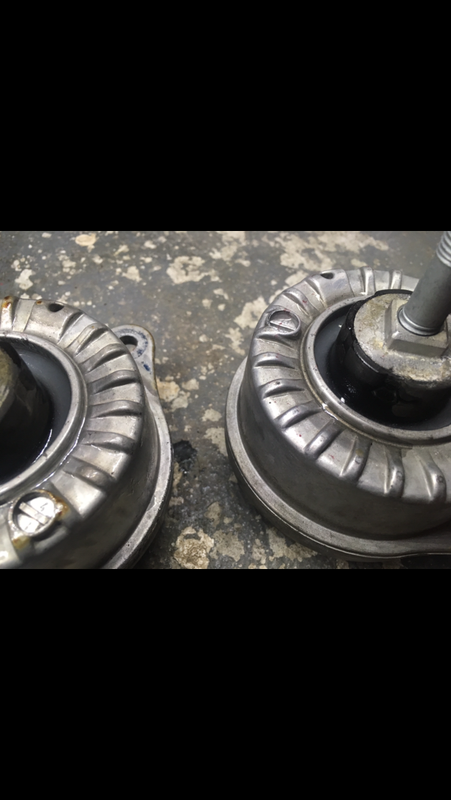 it maybe my intermediate alloy stop before OZ's or Fuchs. Better photos in the daylight of the lip. Very happy with the look now so Ive sold on the side skirts and not going aero front bumper either. 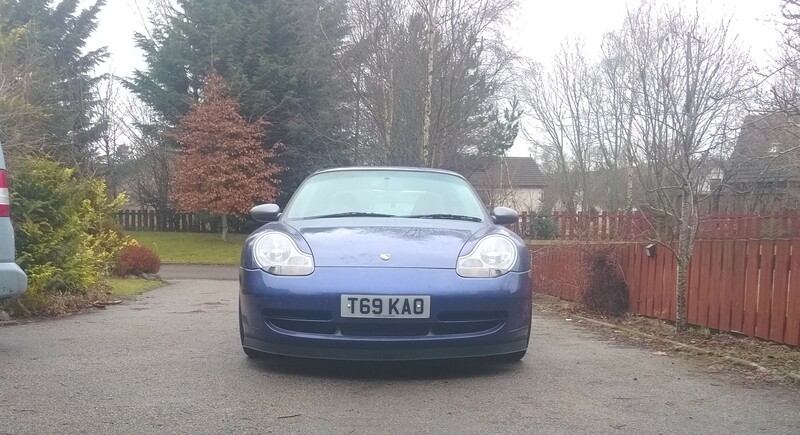 I was going to get suspension replaced, do coffin arms etc and get the paint done but we just bought a holiday let at the weeknd so that has taken all savings and more from me therefore any significant work is on hold for this. 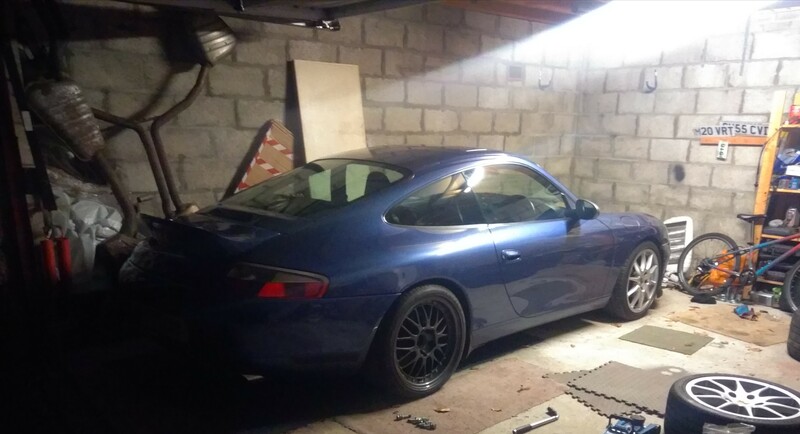 I bought a newish S4 avant (V6 supercharged) as a daily using the RS4 cash (before the holiday let came up) so current derv daily will be going as well so down to 2 cars and the 996 will be used more as well. Quite happy about that so will just concentrate on normal maintenance rather than upgrades etc. Some photos from last Fridays commute. If anyone is looking for a place to stay near Aviemore let me know. So I had to go up to the new holiday place to receive a fridge freezer. 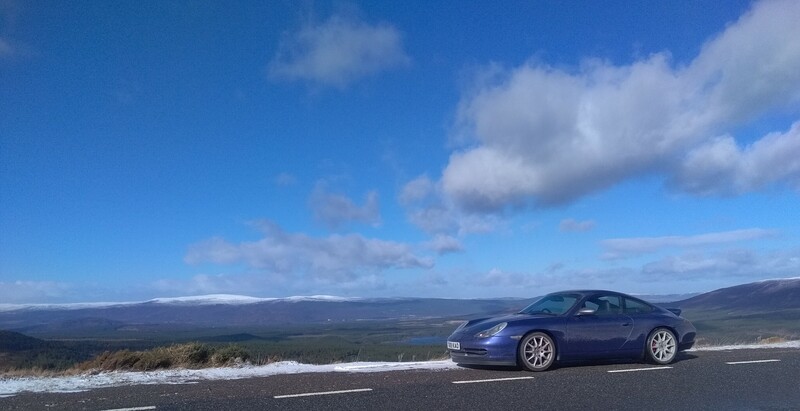 The drive is brilliant up over the Lecht road so naturally I took the 911. Weather was cold but sunny however it had snowed and frozen overnight. I had no choice but continue on and must admit it was the most tense 20min of driving I've ever done. I had to maintain speed to get up the hill but not to fast as there is tight corners. I don't think I was going in a straight line once. 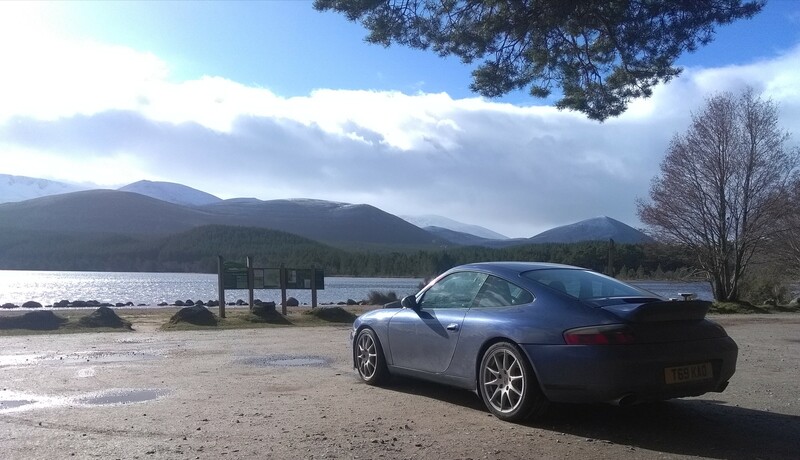 Managed it though and took a burn around Aviemore area to get some photos for the holiday place site. 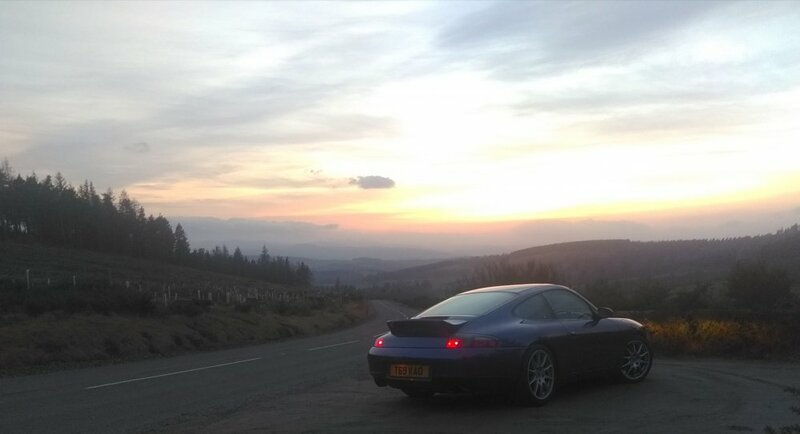 Just so happens they views looked good with a 911 in them as well. Car looks ace. Great pics. Good luck with the holiday let. Thanks, weve being considering it for a while and one popped up so had to snap it up. As said it meant all savings so Im officially skint. 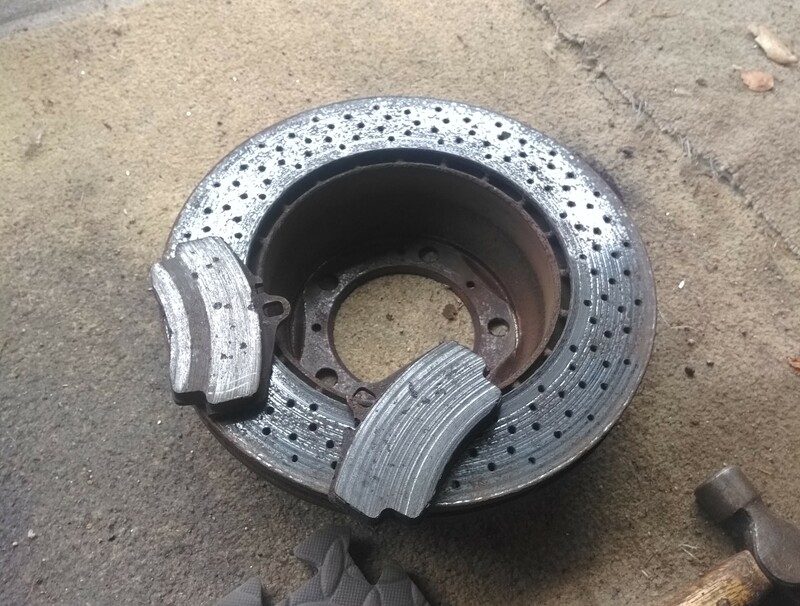 The drive highlighted it needs new brakes so better get that looked at. 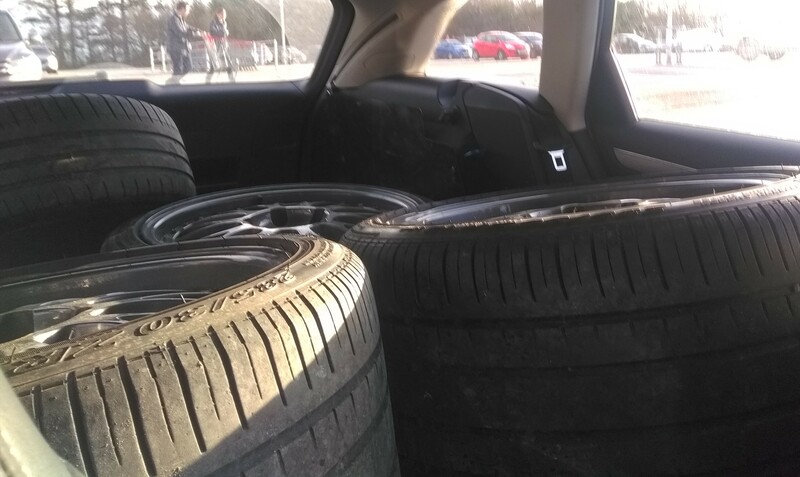 I Wheely have a problem. Little project for me to spruce up. Tried a rear on. 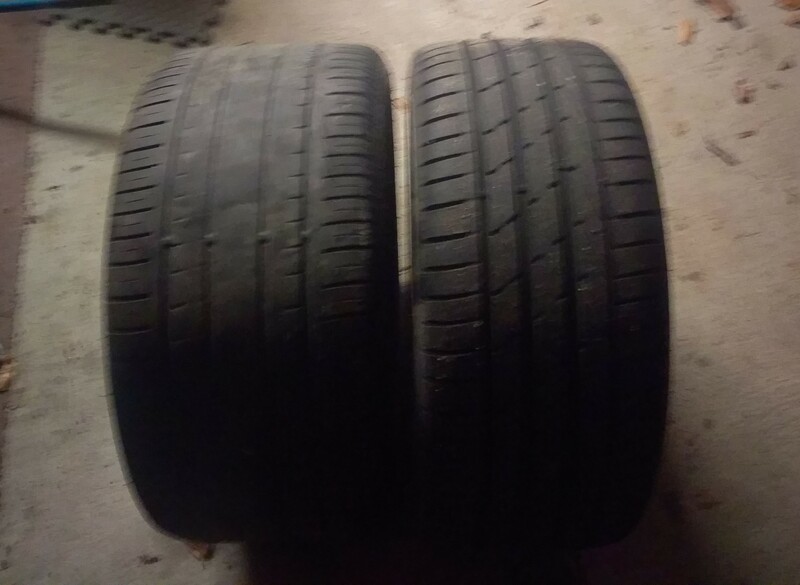 They have 285's fitted and there is a fair difference. 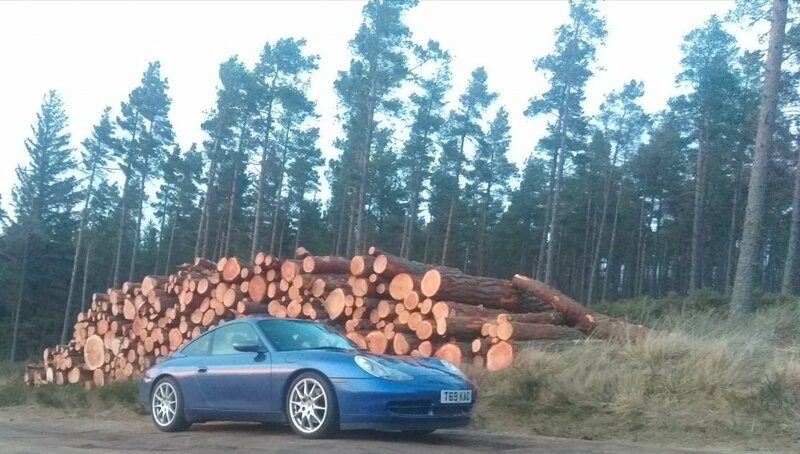 I'll probably swap tyres over and use these as summer wheels and get some winters for the Panamera's. I'll redo the outer rims in silver. Gave them a quick coat with some gunmetal plastic paint until I decide which colours to go. 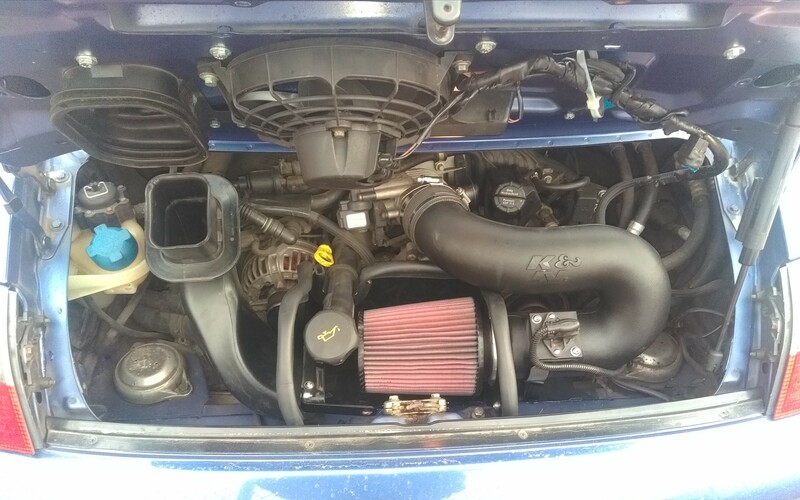 Also picked this up 2nd hand for some more induction noise. Out with the old, in with the new. By God they were needing done. How do you find the K&N? I love them me. Proper scream at high revs. Good, it's given me just the right level of noise now so happy with that. 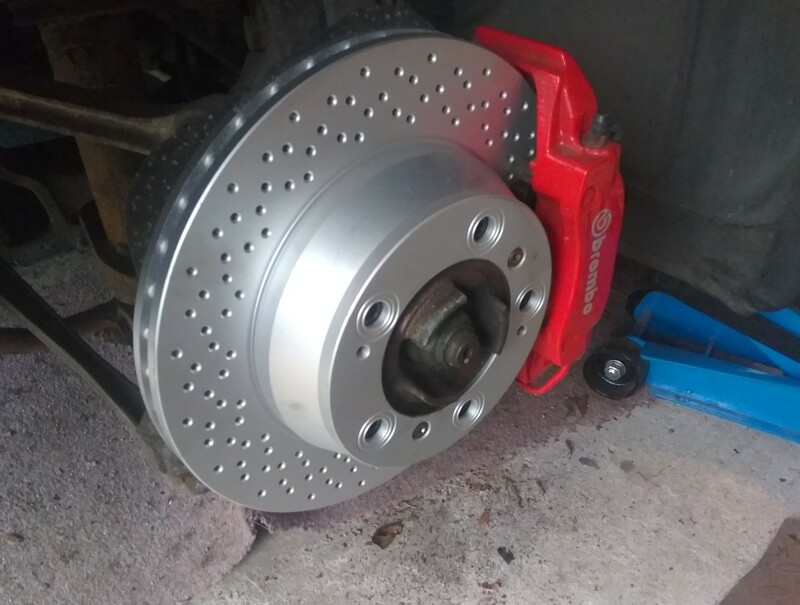 Fronts are fine for now but I will change them out soonish. Got some RS engine mounts on order. Slowly going through all the wee bits for now. It takes time to get all the se bits sorted. Fwiw, I made my own mounts. Mine felt ok but when removed I could see the cracks. I got some liquid polyeurathane and poured it into the mounts. It was a stab in the dark but I figured they were on their way out anyway. I used 65 a shore grade so it wouldn’t be too hard. They’re stiffer than I’d hoped but work a treat. No downside on the test drive so I’m very happy. A cheap mod that worked out very well.